Summer CSA 2019 Distribution Day: Tuesdays! Distribution will begin in mid-June and continue for 22 weeks. The start date will be determined by the farm as they track their growth progress in late May. Summer distributions are held on Tuesday evenings from 4:30-7:30 PM in the Prince George Lobby. Pick up location is at Breaking Ground's Prince George building at 14 East 28th Street, between 5th and Madison Avenues. Upon arrival, you may enter through the main entrance doors. Let the front Security desk know that you are here for the CSA. The CSA will be hosted on the right side of the Lobby near the large fireplace. There are 22 distributions this Summer CSA season. All members are asked to pick up their shares on the distribution date. If missing a particular distribution, members are asked to find friends, family members, or co-workers to be their proxy and pick-up their share on their behalf. Shares will not be saved until a future date for pick-up. 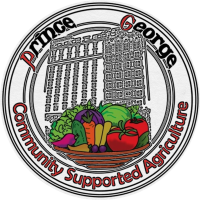 Shares that are not picked up will either be donated to City Harvest or to the Prince George tenant Farmer's Market. No refunds will be made. 2/19/19	Early Bird CSA offer ends TOMORROW! If you would like to view your membership balance and/or pay your remaining balance, please enter your Member Log-in/E-mail address here. All content property of Prince George-Norwich Meadows Farm CSA. 14 East 28th Street, New York, NY 10016.